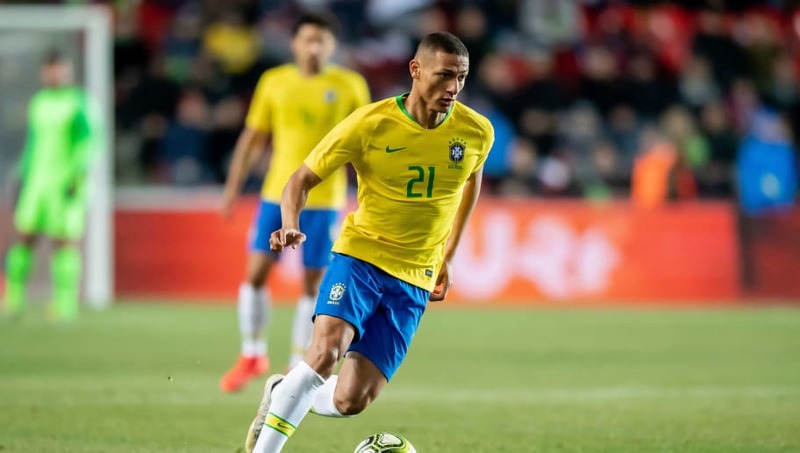 Richarlison's agent Renato Velasco has dismissed rumours that he met with Liverpool manager Jurgen Klopp in order to discuss a potential transfer for the Brazilian attacker. It was reported on Thursday by Brazilian website UOL that Velasco and Klopp had met at the Liverpool manager's home, leading to rumours that his client Richarlison might be considering leaving Everton for their bitter rivals this summer. Velasco though has dismissed the speculation, instead explaining that the meeting had nothing to do with the Everton man. Talking to ​Sport Witness, Velasco said: “My meeting with Klopp had nothing to do with Richarlison. I am an agent of a player of Germany, of Freiburg and the Under 20 of Germany, where his father played with Klopp and they’re friends. So they did not see each other in time and I went to his house to take Marcos [the father]. While also reporting that Velasco had met with Klopp, ​UOL claimed that there had been bids of around £50m for ​Richarlison in January that had been rejected by ​Everton. The Toffees were said to have dismissed the bids out of hands, but the site did suggest that there was interest from clubs including Paris Saint-Germain, ​AC Milan and ​Barcelona. Richarlison has caught the eye this season following his transfer from Watford, scoring 12 Premier League goals. UOL claimed that Everton would not consider a bid of less than £70m for the player and suggested that he was happy at his current club.